In our wargaming club Spieltrieb Frankfurt we play occasionally Song of Blades and Heroes. Since we do this with Warhammer Fantasy miniatures, I decided to get some for myself and painted them. 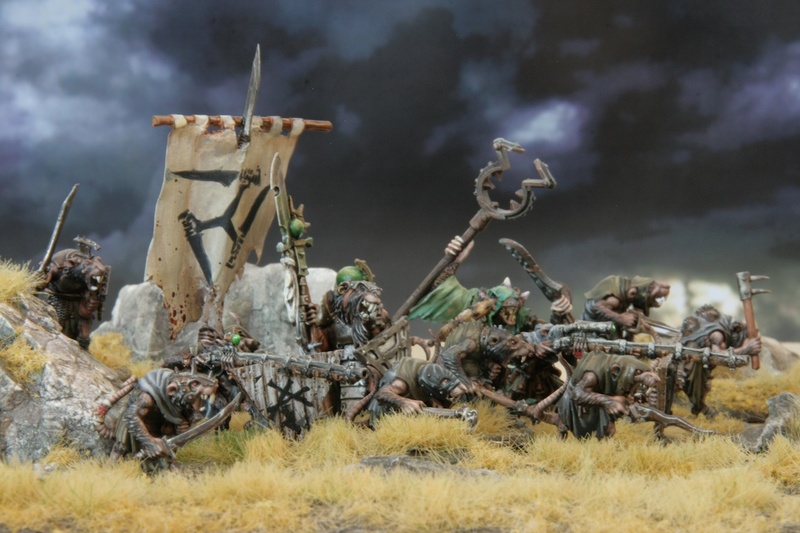 I have chosen the Skaven since I really like the style of the miniatures. The colors were inspired by the source book for skaven with plenty of color schemes. Although I usually rant about the book products by GW, this one is really a good idea with tons of artwork. I painted the fur by hand with single strokes in several colors which came out really good as you might see on the arm of the rat in the front on the left side. The mage was painted by my club collegue Kerstin, as a very good deal unpainted miniatures for one painted miniature. Thanks a lot for this beautiful addition to my collection. With the few miniatures I decided to build some foto set scenery elements in order to compose more exiting pictures. Learning from Frank Becker I decided to do similar setups but my challenge is, not to use Photoshop for generating great composits. I did three stripes of grass, a couple of rocks (made from excellent Ceramine Rocks by Rusus) and a background. 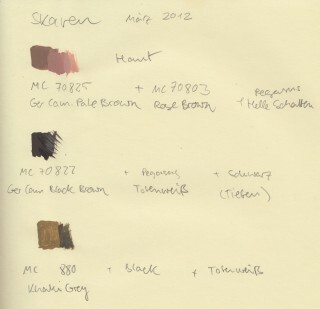 The colour concept of dark dusty volcanic earth with yellow grass was followed both in basing and scenery elements. I hope you like the composition, taking pictures this way and trying to tell a story in the picture is really interesting. I really need to borrow some oponent miniatures from some mates in order to have battle scenes, too. 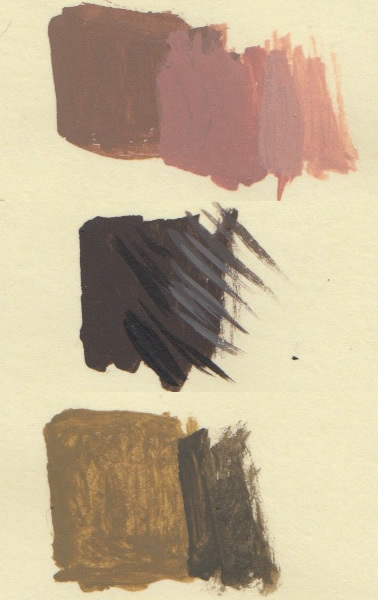 Since I was asked how I painted the Skin of the rats, I just post here a scan of my colour note book.